If you were to wake up one morning and came across an article that listed the company you were in charge of as “one of the worst companies to work for,” what would you do? Would you go into denial? Would you be angry with the author of the article? Would you reprimand your management team? Would you seek to understand the issues better and make a conscious effort to improve the environment? Although these questions are hypothetical, because of this recent article, 18 business leaders are being forced to take them seriously. Carefully read through the list of worst companies to work for to see what their employees are saying. 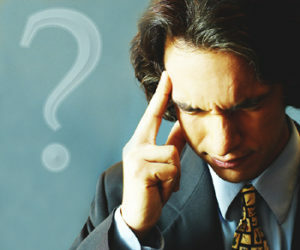 Then ask: Are you and your management team creating an environment in which these issues are addressed at your company? Here are three reasons employees rated their companies the worst (as noted in the article). LA Fitness – Many LA Fitness employees feel they have no chance of turning their job at the gym into a career. Though some reviewers appreciate the free gym membership that comes with the job, others say the company offers low pay with few benefits or room to advance. The Fresh Market – Employees reviewing the company say upper management shows “zero consistency” largely because of a high turnover rate. No surprises. Clearly, employees want work-life balance, advancement opportunities, and management consistency (among other factors). Knowing this, what would you do to improve the situation in your company? More importantly, knowing this, what would you do to overcome negativity among your employees?